NEW DELHI: The Sensex and Nifty stock benchmark indices hit new highs on Monday morning on the back of favorable global signals. BSE Sensex with 30 stocks opened more than 220 points above the previous closing price at 38,472.03 and continued to grow its profits to reach the all-time high of 38,586.83 in morning trade. At 9.40, the price had risen by more than 300 points and was trading at a nearly high level. The wider NSE Nifty with 50 shares also reached a new milestone when it broke the 11,650 mark for the first time, reaching new highs. The rebound came from global markets as Asian stocks rose early on Monday and received support from Wall Street gains on Friday after Jerome Powell, the chairman of the Federal Reserve, said there was a gradual rise in interest rates best to protect the US economy and jobs growth. The comments helped the S & P500 Index and Nasdaq Composite reach highs on Friday, strengthening S & P's longest-running bull market, as defined by some investors. On Monday morning, all sector sub-indices were in the green, with metal and bank indices each exceeding one percent. The sub-indices FMCG and Financial Service also rose by almost one percent. 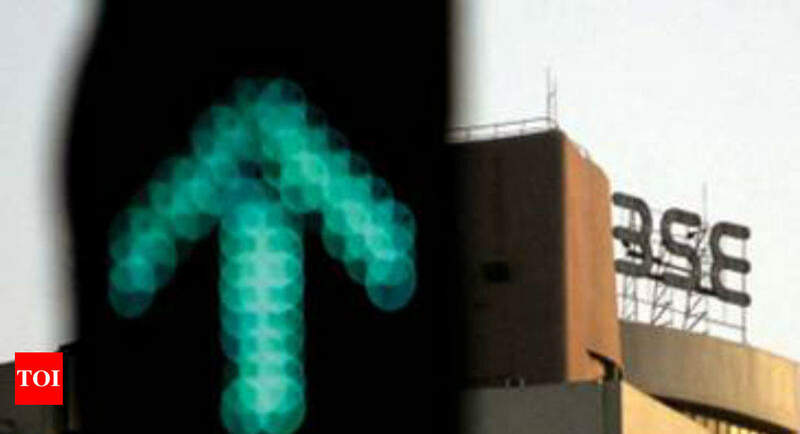 PowerGrid, SBI and Yes Bank shares gained the most in early trading.